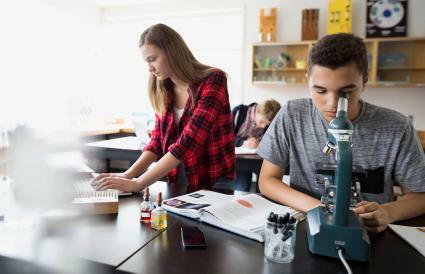 Free online high school chemistry homework help gives teens instant access to study guides, tools, tutors, and teachers so you can complete your assignment ASAP. When you know where to find the best homework help online, you won't have to wait for your teacher to be available for questions. From teacher websites to tutor chats and college websites, there's no shortage of HS Chem help online. Check out all the available resources then choose the one that looks professional and offers help for your specific need. A non-profit educational organization, Khan Academy offers free subject-specific tutorials on a wide variety of chemistry topics. Just click on the topic you need help with and choose from several lessons that will pop up in a new window. Sometimes the information is presented in text with images and sometimes it is presented in a video. The 2015 AP Chemistry test response section takes you through each question on this exam and explains how to find the answer which could be useful if your homework has similar questions. Sometimes you just need a super simple explanation of a complex topic to understand it. If you're stuck on a homework question that deals with matter, atoms, the periodic table, elements, reactions, or biochemistry, Chem4Kids can help with a simple walk-through of the topic. Presented by Purdue University, the How Do I Solve It? chemistry help page covers the topics chemical equilibrium, kinetics, solutions, electrochemistry, nuclear chemistry, and thermodynamics. On the site you'll find step-by-step tutorials on things like how to make an ICE chart or determining molar mass. Explanations always include an example that would be similar to what you'd find on your homework. Follow along with Dr. Kent as he explains basic high school and introductory college chemistry topics through videos on GetChemistryHelp.com. Choose the topic you need help with, then click on the "practice problems" section to watch Dr. Kent walk you through how to answer a problem. You can even use the online form under the "Contact" tab to send him a question. Mr. Guch offers a humorous approach to a weighty subject. This site includes a chemistry dictionary and fun explanations of chemistry topics from graphing to polarity. If you need a quick and painless site to run through the explanation of a topic, this is the right place to go. Subject tutorials include explanations and diagrams. Featuring both website help and app support, Socratic is a free homework helper with assistance in a variety of high school subjects including chemistry. On the Socratic website in the chemistry section you'll find tutorials broken down by topic. Each specific topic features text and images as part of the explanation. On the free Socratic app you can take a photo of your homework question and get instant results powered by Artificial Intelligence including walk-throughs of how to answer the homework question. Chemistry Calculator by MAP Development is free to download and use on any device. Teens can use the app to find the answers to basic operations like molar mass and mass percent composition. The app also includes a quick reference guide for all the elements. Download Chemistry Pro 2019 free to access a chemistry dictionary, fast facts about famous chemists, and a search function to help you find just what you need. This is one of the few online chemistry homework helpers that includes information about famous chemists. Sometimes the answer for your chemistry woes won't be solved in a single night. For ongoing thoughts and concerns regarding chemistry that you'd like to voice online, peruse student-friendly websites that are just right for high school students. If you want a quick chat with someone who can help you complete a homework question, an open chat group like Chemical Forums lets you choose from dozens of specific threads and post a question. Pro Quest requires you to obtain a user name and password from your teacher or school librarian first. You can send your questions and expect a quick response from this website. They can even help you with research projects. Collaborative question giant Reddit has groups like ChemHelp dedicated to helping students answer chemistry questions. Brainly is a homework help forum that uses points as currency and has a chemistry channel. It costs you points to ask questions and you earn points by giving good answers to other questions or keeping current in your account. So you need to complete a chemistry project, or write a science paper? If you're looking for these types of resources, consider the following websites. Just be sure to ask an adult before starting any chemistry experiment. Better safe than grounded, right? Info Please is a website with all the answers. It boasts a great virtual chemistry lab, which can help you understand how certain reactions actually work. It includes a glossary of common terms and ideas for your next chemistry project. 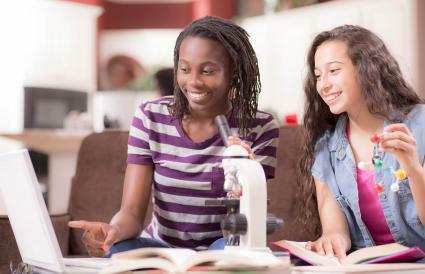 All Science Fair Projects contains over 500 ideas for your next science fair project, including chemistry experiments that may have you wondering exactly some projects can be completed. Take on what looks fun and new to you. Reeko's Mad Scientist Lab is a cool place to learn about chemistry and get ideas for your next chemistry project or experiment. It's a light-hearted place to play around and find inspiration, and it welcomes you and your younger siblings. Don't forget your goggles! Homeschooling Chemistry offers loads of cool chemistry experiments, virtual software, games, and lesson plans. As you look through the many features of this website, you may find that some of its pages inspire the sort of chemistry project that you want to work on. Your teacher is always the first person you should go to for homework help, but they aren't always available when you're working on assignments at home. 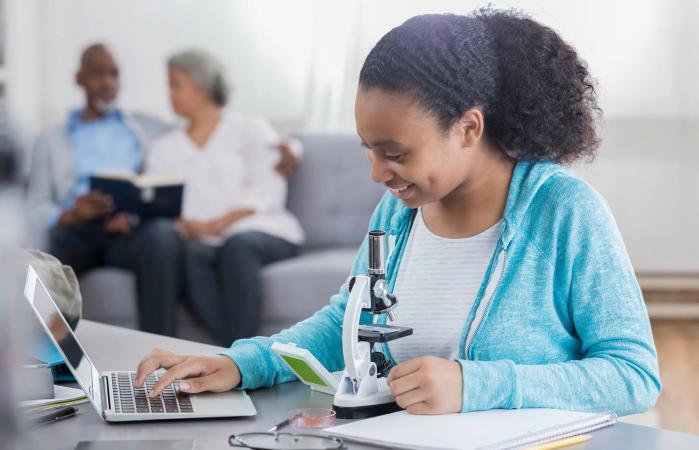 Check out high school chemistry homework help websites, chats, videos, and apps at the start of the school year so you'll be ready to use them at a moment's notice.